I finally ran my first race last Sunday. It was just a 5k in the Adidas King of the Road, but for a race-virgin who had been putting off joining races, it was a bit intimidating. So one night, when he came home from work with a race kit with my name on it, I knew it was time to leave the excuses and run with the rest of them. We woke up before 4 a.m. Had a breakfast of cereal and yogurt. Got ready and got to the race venue around 5, just before the 16.8 runners crossed the starting line. There were a lot of people. I mean, I knew running had gained a big following in Manila and that there was a race almost every week, I just didn’t realize how big was big. It seemed a large part of Bonifacio High Street up to the NBC Tent in Bonifacio Global City was crawling with runners in their pink, neon green, or blue singlets. While I waited for the 5k race to begin, people beside me were taking pictures, some were following the host (yes, there was an actual host and stage and program) for a bit of warm-up (pretty hard to do jumping jacks when you’re all standing cheek by jowl behind the starting line though), others were chatting. I was excited, anxious and just eager to get going. When the race finally began, we all started shuffling. We were probably 30 meters away from the starting line so there were no dramatic starts to witness. Quietly we all shuffled forward, then you pick up your pace and then you realize you’re running. It was still dark. Hall & Oates was singing “You Make My Dreams” in my ears, which was how I had been starting my runs for the past few weeks. I was going to follow my recent running plan, which had helped keep me in the treadmill for 5k distances, 10 minutes easy effort, 2 minutes hard effort, 4 minutes easy, 2 minutes hard, and so on until I finish. I stumbled upon this old Nike ad in this engaging runner’s blog a few days ago. 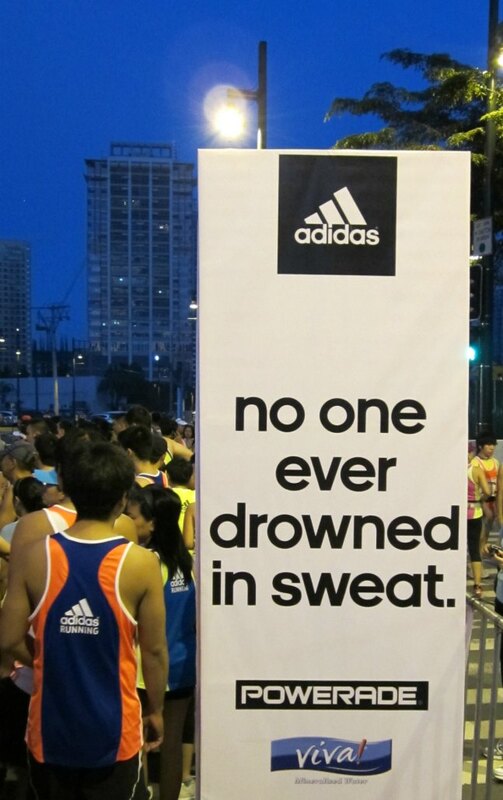 Well, it was one effective and guilt-inducing ad copy that immediately made me lace up and go for a run. My two-week (I’m in denial and I’m sticking to my story that it was just two weeks) hiatus from running came about during and after the trip to Bangkok. I know I wrote it here somewhere that I plan to look for places to run and actually go running whenever I travel. Well, I did pack my running shoes, but I also ended up bringing a bunch of assignments with me on the trip. (Never a good idea. But you know what Nike will say…) The one morning I didn’t have an article to finish, I woke up early, put on my running gear, and headed out my cousin’s apartment all set to run. 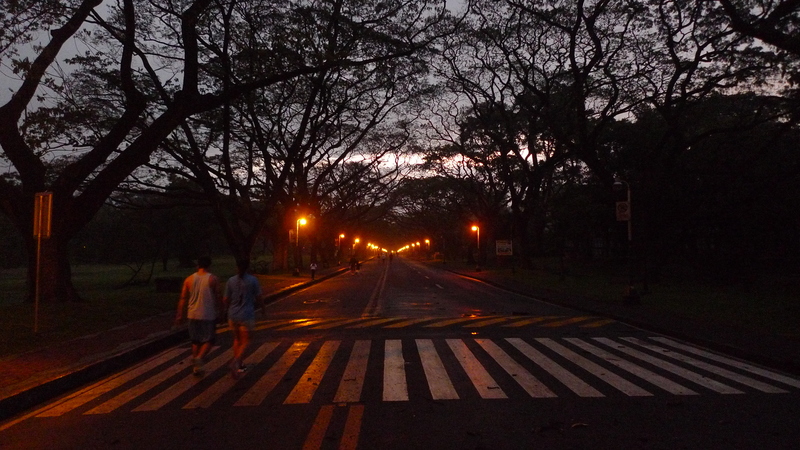 The neighborhood was pretty nice, with its wide, quiet roads and it appeared perfect for running. But then there were stray dogs roaming around, and pretty soon a lot of speeding cars were on the road, and there were no sidewalks, and…well, there’s always something. Excuses tend to snowball that way. And before I knew it, I was making my way back to the apartment. Back to the apartment. Didn't get to run. In between the deadlines last week and the looming deadlines this week (hence the blog absence), P and I got to join some old college friends of mine to go up to Baguio for a three-day break. It was much needed escape–I was looking forward to the cool weather, checking out the new Casa Vallejo and the restaurant and bookstore beside it, BenCab Museum, and looking for a road to run on. Ever since I started running, I have made a pact with myself to look for roads or routes where I could go for a run whenever I go on vacation. 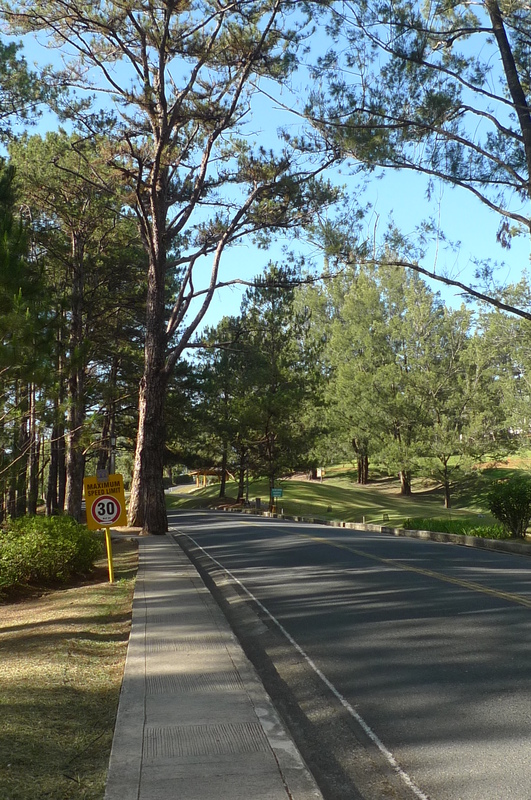 I have been to Baguio several times since I was a kid (it’s one of the most accessible mountain city retreats from Manila), but I have never run along many of its sloping streets. Baguio has simply been more of a convenient escape-from-Manila-heat kind of destination for me, where I would often just eat, stay bundled up, then go out and eat some more. Sweating it out was never in the itinerary. 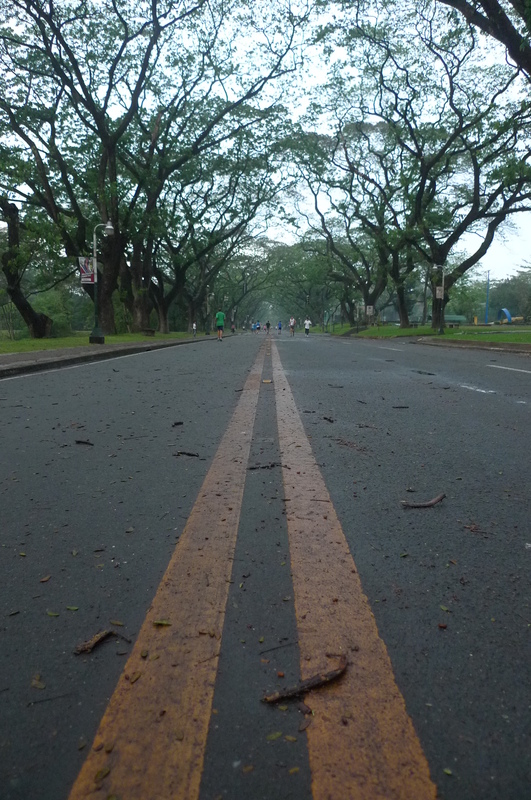 This time, I was determined to take advantage of the cool weather, lace up and run. 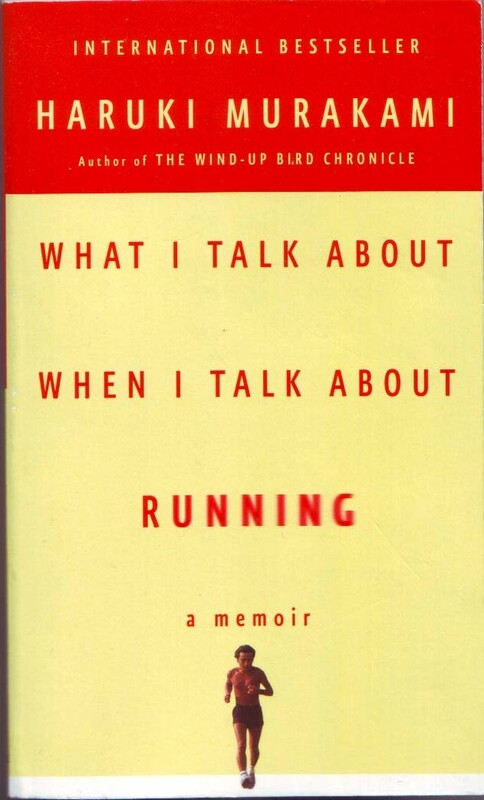 In Haruki Murakami’s book, What I Talk About When I Talk About Running (recommended by a supportive sister after I declared my pledge to start running and conquer that half-marathon in Angkor Wat), he describes how you can distinguish a beginner runner from a veteran. 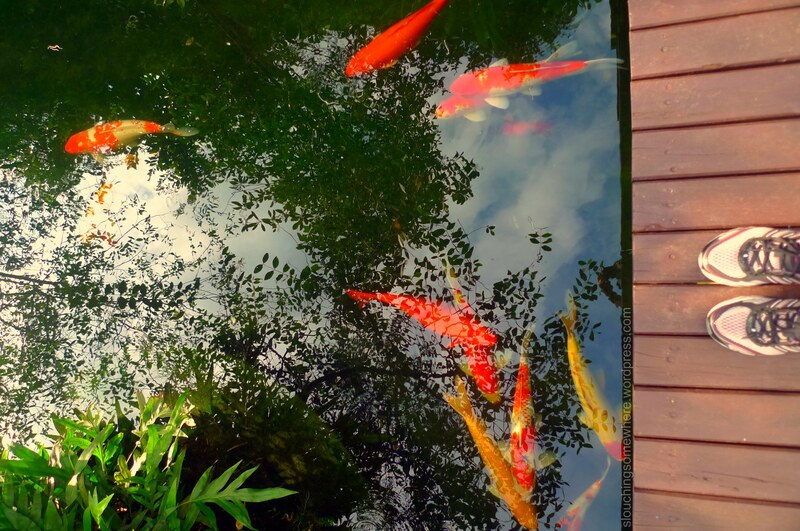 The ones panting are beginners. I know it’s simple observation, but I think about it every time I run and start to pant, I’m reminded I’m a beginner. Of course, I hope that each day that I run will help me get closer to my goal of running a half-marathon this year. But even with such a lofty goal (for me anyway, it is), running is a humbling pursuit. It constantly reminds you of your limits, of how far you still have to go. But you keep doing it anyway. Because for one day or for 30 minutes, you get to go through it. You get to push yourself. Even with so much panting involved.